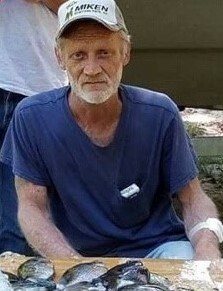 Clinton Ray Davis, age 53, passed away February 5, 2019 with loving family by his side. He greatly enjoyed hunting and spending time in the outdoors. He will be missed by all his family and friends. He is preceded in death by his parents, Leonard Elmer and Florice Mae Davis. Those left to cherish his memory include his nine siblings, James Elmer and Cathy Davis, William and Carol Davis, Brenda Cooper, Mikeo Davis, Bernise Davis, Bobby and Kim Davis, Richard Davis, Tony and Kitty Davis and Susan Cunningham; many nieces, nephews, other relatives and friends. The family will have a Memorial Service for Ray Davis on Saturday, February 9, 2019 at New Hope Assembly of God in Wade beginning at 1:00 PM with Bro. Robb Reiser officiating. The family will receive friends one hour prior to the service. Moments Funeral Home, family owned and operated in Lucedale, Mississippi is honored to be in charge of arrangements.